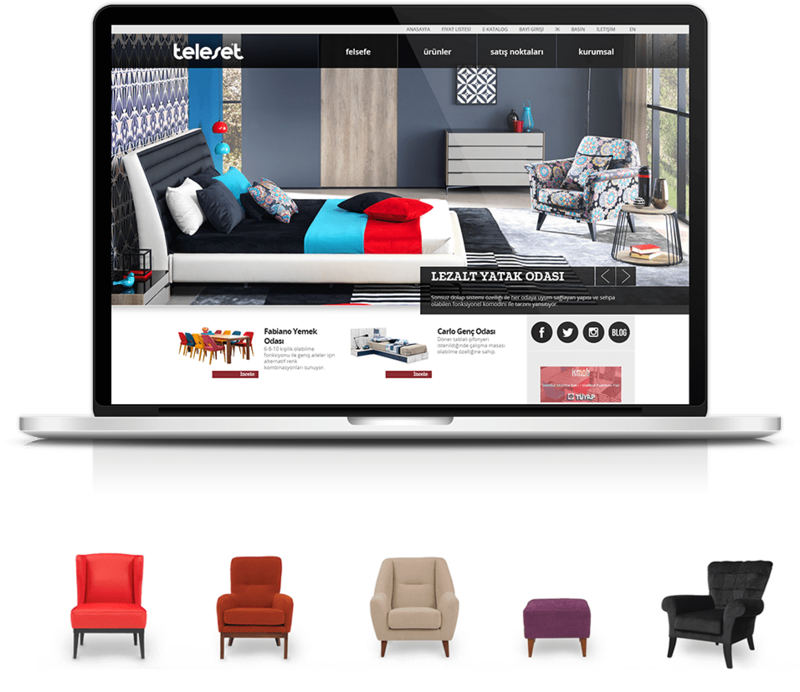 Teleset is a nationwide furniture manifacturer and desired a new website to communicate with both national and international customers. The young vibe of the new collection and the artsy look of the furniture inspired the website design. 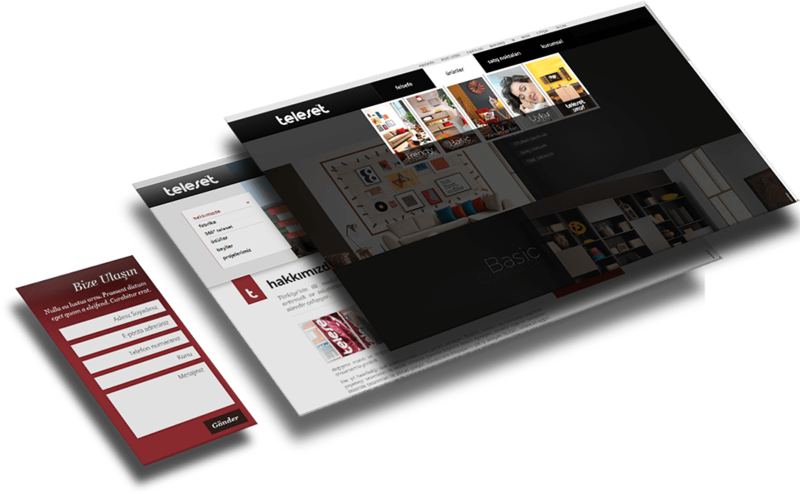 A long page as a homepage offers the chance to users to find what they are looking for at a glance. Likewise product category pages are created on an original basis of furniture line. Teleset manifactures the coolest foldable furniture for a young audience. The brief was to name and position the sub-brand in the website. So we did! 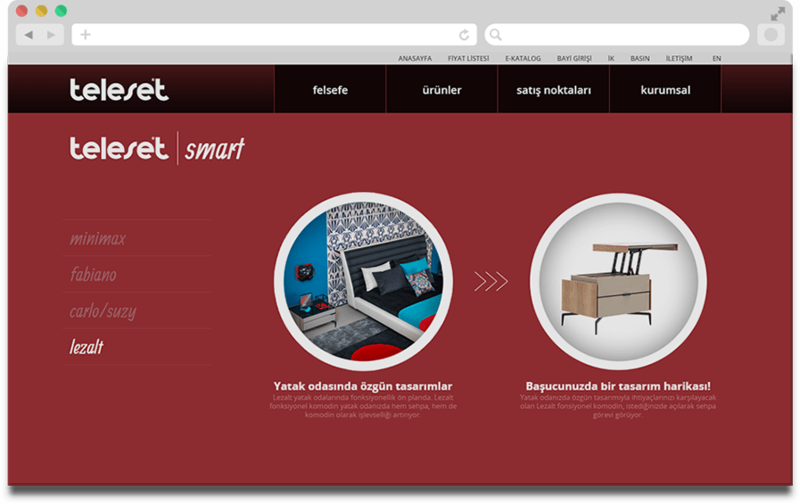 The name ‘’ Teleset Smart’’ is used for foldable furniture and content is created both for website and social media.